how to change the content of iframe dynamically? Below tutorial will explain how to change iframe content dynamically and find the demo link and download the source code below. 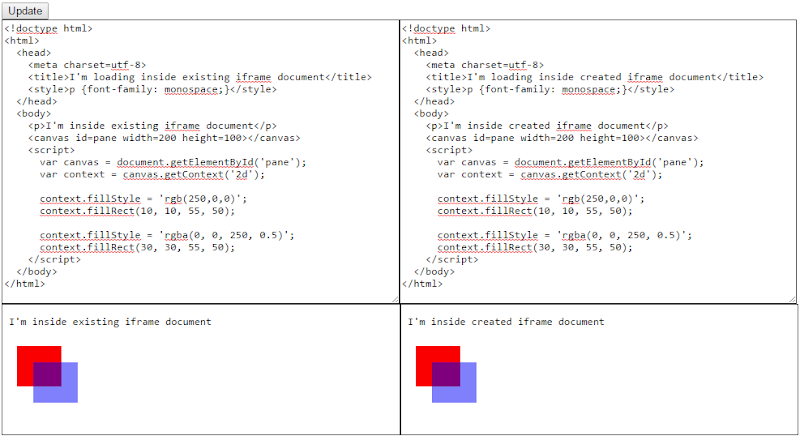 Copy below textbox in to your html page which has the content that goes into iframe content. Copy the below iframe code into your html page. Below tutorial will explain how to create iframe dynamically with content and find the demo link and download the source code below. Copy the below textbox in to your html page which has the content that goes into dynamically created iframe content.